SWS & FIS has designed the ultimate dive trip for the discerning dive adventure traveler yearning to dive the Southest Pacific, as it should be, as you've dreamed it would be. Crystal clear 85 degree water, nutrient-rich hard and soft Coral, an astounding number of marine creatures, World War II wrecks, steep drop-offs and tropical caves as well as thousands of different fish species. Atlantis Resort is Just a thirty minute drive from the local airport, on a long peaceful stretch of beach, surrounded by an amazing tropical garden with some of the rarest plants to be found in the Philippines, it is just a short trip to some of the most renowned dive sites in Asia – Apo Island, Siquijor, and of course the local Dauin Marine Sanctuaries. 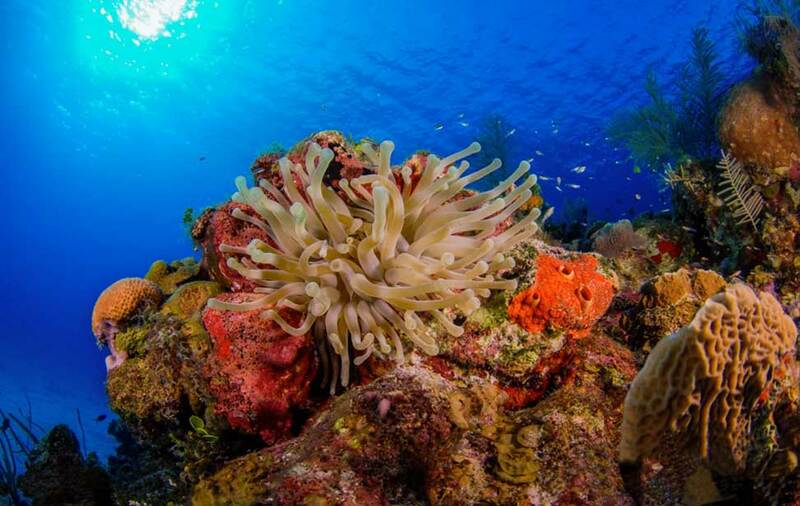 With 33 plus different reefs to dive there's something for everybody. From shallow to deep we will explore the absolute best dives there is. Trip escorted by Sacramento Water Sports & Fisheye Scuba. Round trip transfers between Manila and Atlantis Resort Dumaguete. Includes roundtrip domestic economy airfare between Manila and Dumaguete, domestic terminal fees, private air conditioned van between international terminal and domestic terminal in Manila, round trip private air conditioned transfers between Dumaguete Airport and resort, personal airport ‘meet and greet’, and luggage assistance. Marine Park Fees *Guests are responsible for paying marine park fees at the time of their stay on their personal bill; as these fees are set by local Municipalities they can change at any time. The current fee per day dive is 210 PHP and 315 PHP for a night dive. Room upgrades are available, please see the specific room for additional details. Nitrox is available at $180 per week. TRIP PAYMENT REQUIREMENTS: $300 initial deposit holds your spot until the next incremental payment is due. 40% of your trip package cost is due in no later than October 10, 2018 and Final Balance due must be paid no later than February 10, 2019. No refunds! Other than the what is listed above no other costs are included. SWS or FIS will not be collecting payment for any other part of your trip. There are out-of-pocket fees, charges and tips. If you must cancel, all deposit money is non-refundable unless we are able to fill your vacated space. If we are able to fill your vacated spot at the full purchase price, SWS will credit your refund to an in-store account minus a per person $300 cancelation fee. If we are unable to fill your spot on the trip, all money paid toward the trip will be forfeited. Note 2: Every diver on this trip is required to have Diver Accident Insurance coverage. If you do not wish to join Divers Alert Network and purchase their Diver Accident Insurance, proof of another plan you have that covers you for an an out-of- the- country accident including medical flight evacuation back to the U.S. or to a better medical facility should that be required is acceptable. NOTE 3: For peace of mind, SWS &FIS strongly recommends you purchase additional trip cancelation/interruption coverage to help defray costs arising from unforeseen events. No one plans an emergency. But you can prepare for one. Carefully read any insurance policy before purchase to make sure it covers your specific needs. *Sacramento Water Sports & Fisheye Scuba are NOT sellers of insurance. We are giving you information about insurance coverage as a service only. Dive Assure has dive accident, trip interruption, and live-a-board trip interruption insurance packages. NOTE 4: SWS highly recommends purchase of this trip specific additional coverage. In the event you have to cancel, the additional trip insurance coverage could help you receive reimbursement for non-refundable deposits and costs should you have to cancel or interrupt your trip to come home for reasons not covered under the Diver Accident Insurance Coverage. NOTE 6: SACRAMENTO WATER SPORTS & FISHEYE SCUBA ACTS ONLY AS AN ORGANIZER AND EXPEDITOR OF DIVE TRAVEL FOR THE SOLE PURPOSE OF OFFERING A SERVICE TO SACRAMENTO WATER SPORTS & FISHEYE SCUBA. CUSTOMERS. SWS & FIS DOES NOT SELL DIVER ACCIDENT INSURANCE NOR DO WE SELL TRIP CANCELATION AND INTERRUPTION INSURANCE NOR ARE WE LICENSED TRAVEL AGENTS. WE SOLICIT THE ASSISTANCE OF LICENSED REPUTABLE TRAVEL AND INSURANCE AGENTS TO ASSIST US ON YOUR BEHALF.